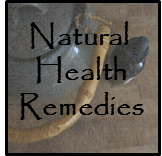 Share and read posts on natural health remedies. For information on linking up, review the details here. I love these permanent link-ups, Gretchen! I posted my ginger tea as a remedy for a sore throat, and also homemade cough drops.